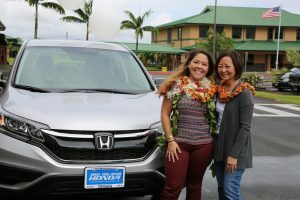 Kanoe Ho and Luci Higa in front of the new Honda CR-V presented to Kanoe from the Ryan Higa Foundation. 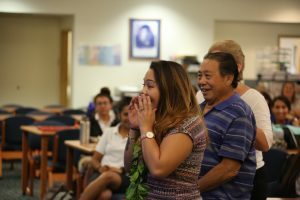 On September 23, 2016, the Ryan Higa Foundation presented its inaugural award to Kanoe Ho for her work as a volunteer in the Peace Corps, changing lives in Tanzania, Africa. See her story here. 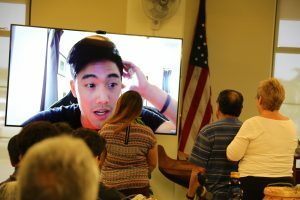 This entry was posted	on Tuesday, November 29th, 2016 at 11:06 am	and is filed under Front Page, The Ryan Higa Blog. You can follow any responses to this entry through the RSS 2.0 feed. Both comments and pings are currently closed.